A Charming and eclectic collection of favorite recipes from one of America’s most sophisticated yet funky home towns. Featuring a range of practical to panache-full dishes specially chosen for their ease in preparation as hors d’ oeuvres, main meals and desserts and well flavored with spicy anecdotes of local color… a collage of cooking… a reflection. Of historical schmoozing… sure to ease a smile and please the palate. 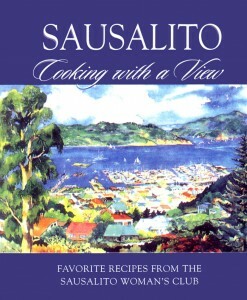 Whether you bake it or fake it, there’s something for everyone in this delightful, uniquely Sausalito Cookbook. 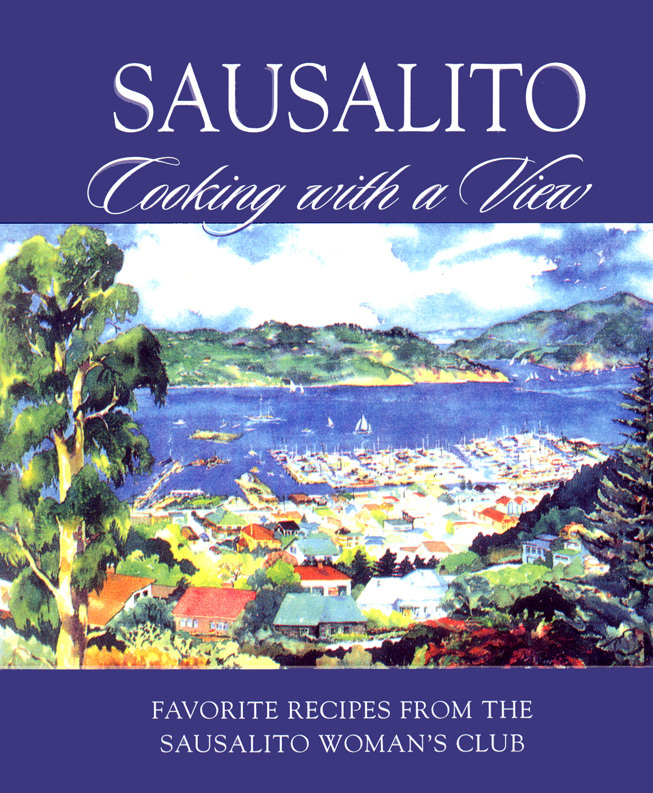 Interesting recipes ranging from hearty to party, wonderful stories about the life, times and events in Sausalito as well as art work by club members. * Proceeds from the sale of the book are dedicated towards the preservation and restoration of our Julia Morgan designed building. * Produced and produced by club members on the cookbook committee. * Art work, covers and divider pages by Ruth Alexander Stewart, Marin County watercolorist. * Line Drawings; Ruth A. Stewart and Heidi Snowden. * Map of Sausalito, by Phil Frank, cartoonist for S.F. Chronicle. * Recipes submitted by club members. Entrée recipes tested by club members. * Recipes selected based on fresh ingredients, featuring California products, from hearty to party. * Text on back of divider pages written by club members about life, times and events in Sausalito.